Hello! I hope everyone faired well in this past weekends blizzard that struck the East Coast. I’m very grateful, the storm missed us completely. 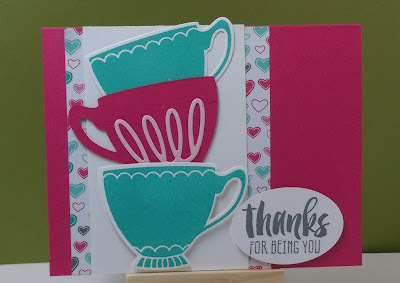 I still managed to spend some time in my craft room and made a few cards up to share with you. 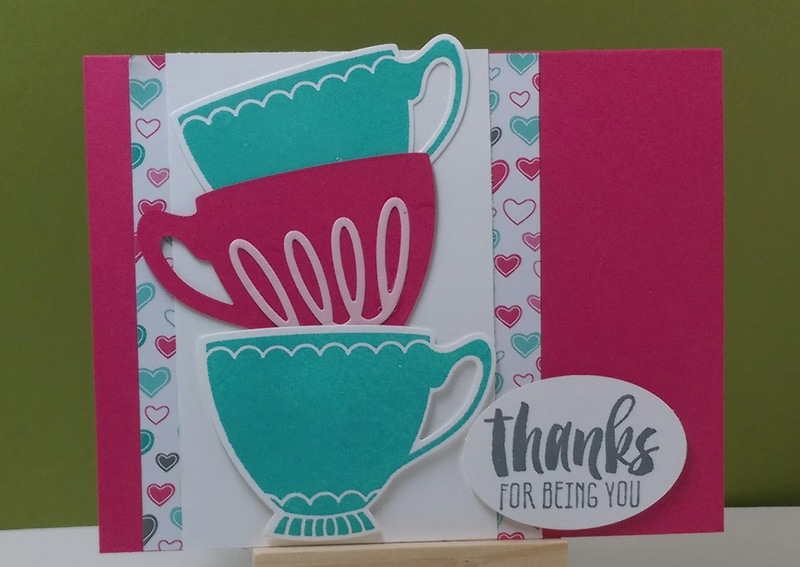 Both of these cards are inspired by a sketch challenge taking place on my Facebook page…stop by and check it out, www.facebook.com/snsfromtheheart I’m sure you will like what you see. And if you would like, feel free to join us and create something to share. The more the merrier right? Oh, before I forget, Sale-a-bration is still going on, so remember, for every $50 you spend before shipping and tax, you can choose a free Sale-a-bration item and a 3 month Paper Pumpkin subscription counts as your $50 order! Yes, the 3 month subscription price has been decreased just for Sale-a-bration! I love my Paper Pumpkin! It’s like Christmas in a little red box every month! Ok, well I better get on with my day. I’m glad you stopped by to visit for a bit. Please check back on Saturday and I will be sure to have something good to share. Have a great day!